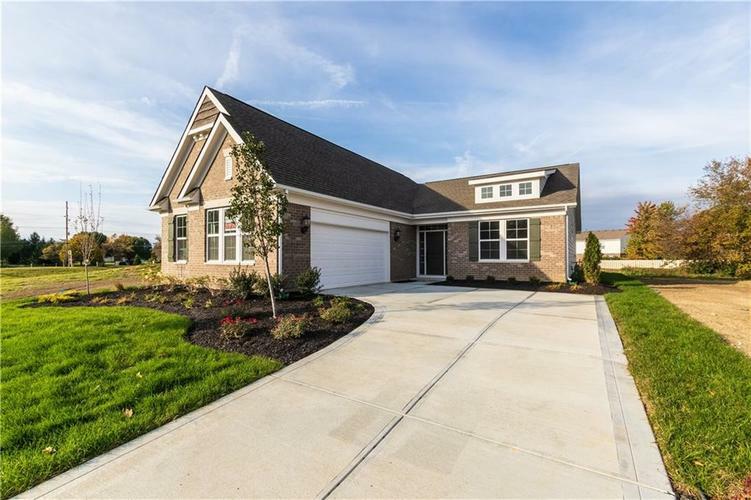 Gorgeous Maxwell Coastal Cottage home plan by Fischer Homes in the beautiful new community of The Enclave at Lyster Lane featuring a formal living room and 9ft ceilings. Island kitchen with stainless steel appliances, upgraded maple cabinetry, ceramic backsplash, granite counters, walk-in pantry and dining area with walkout to patio and all open to the family room with tray ceiling and gas fireplace. Owners suite with double bowl vanity, walk-in shower, water closet and walk-in closet. 2nd bedroom with walk-in closet. 2 bay garage with opener and keyless entry system. Directions:I-465 to Exit 49 toward Southeastern Ave right Old US 421 W. Left Southeastern Ave right Five Points Rd At traffic circle continue straight to stay on Five Points Rd. Left E Edgewood Ave to Lyster Lane on left.